Nanxin Investment Pty Ltd otherwise known as NX Property Group have scored a sizeable win at planning, clearing the way for the developer to add another 221 dwellings in Melbourne's south-east. 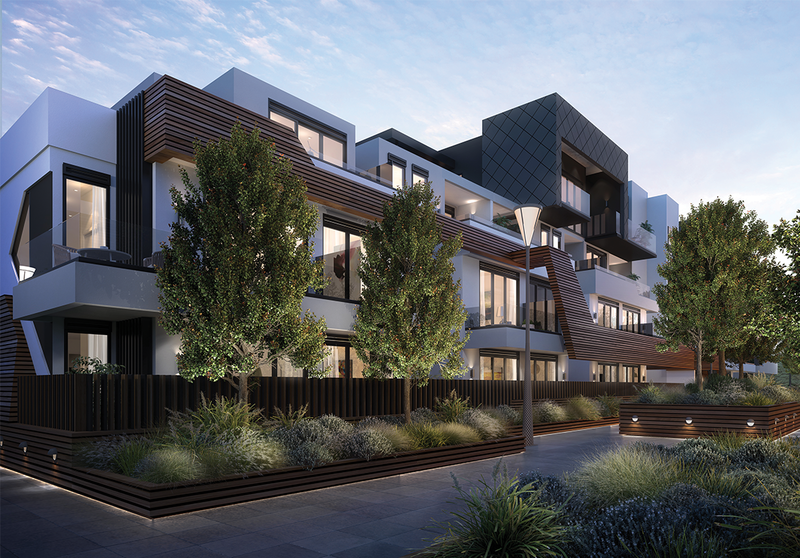 City of Monash earlier this month gave the green light to the project on the former Clayton Primary School site, delivering a Planning Permit to Issue for the expansive apartment and townhouse project. Having submitted the Mushan Architects-designed brief for approval during March this year, final approval for the project has now been effectively provided. At 29 Browns Road, NX Property Group's project carries a proposed development cost of $65 million. Zoned General Residential, the site was sold by JLL some years ago and obtained approval for a site master plan at the turn of 2017, with Mecone overseeing strategic planning and the development plan for the former school site. Under the site masterplan, 250 dwellings were approved, although this has been scaled back with the final split now consisting of 74 townhouses and 147 apartments. The 74 townhouses consist of either two or three storeys and are split between 33 x 2 bedroom, 1 x 2 bedroom plus study, 32 x 4 and 5 bedroom with double garage and 8 x 4 bedroom dwellings with a tandem garage formats. The apartment component split sees 40 x 1 bedroom and 107 x 2 bedroom apartments, with the final number of apartments 25 lower in order to satisfy the conditions of approval. NX Property Group's Browns Road success follows on from their initial Clayton project dubbed Brightwood Monash. Also the design work of Mushan Architects, Brightwood at 1 Renver Road is now with builder Valeo Constructions. After accounting for the likes of Verve Constructions and LU Simon Builders during the tender process, Valeo was awarded the $37 million build. Brightwood Monash includes 129 one and two bedroom apartments, plus 26 three and four bedroom townhouses. Brightwood Monash and Browns Road carry certain design similarities, although the Browns Road development does feature a higher proportion of townhouses which Melbourne property purchasers are currently buying at an insatiable rate. Both NX Property Group projects are approximately one kilometre from one another, and in close proximity to Monash University's Clayton campus.